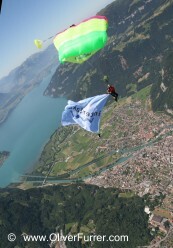 The PULSEteam opened the RedBull AirRace at Interlaken, Switzerland, with a spectacular demo jump. 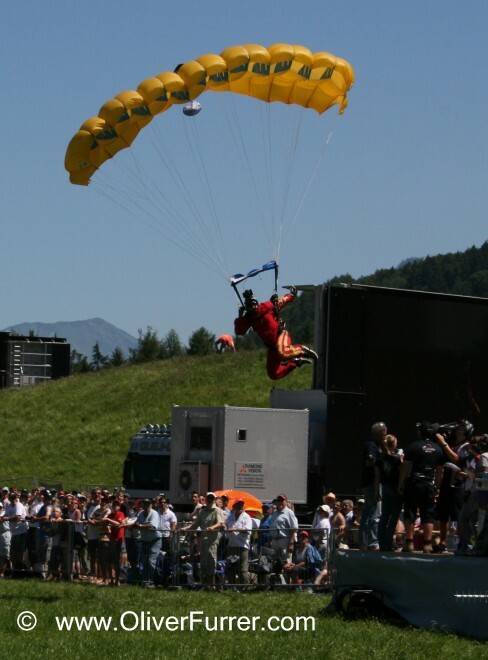 Exactly on time, the eight skydivers started a performance with smoke and flags and a perfectly accurate landing in front of over 60’000 spectators. Over the last few years the PULSEteam participated at many different events and brought their spectacular show to perfection.